What is the easiest way to get audio files into the track manager.? I can’t seem to get anything from my library into my track rack .I see it in the sub folder I named but cannot load it. I can also hear the samples that I imported.Is there anyway to do this? I’m sure this has been answered,Thanks in advance.! Hello @d___2 & welcome to the forum! Are you trying to load audio clips into Slate or audio samples into Obsidian? I’m not sure what the “track manager” is. Is there a reference to that in the manual? This is not available yet, it's in todo list later this year after iPhone version. For now, as @SlapHappy said, you can load audio into Slate pads or into Obsidian sampler oscillator and trigger them by notes. With obsidian you can use also some advanced tricks using.sample offset automation and get sort of "fake timestretch" effect - see Tips & Tricks section of this forum. That’s my issue, I have the audio samples in my library , but they won’t load into anything..
Oh this. You need change Obsidian oscillator to "Sample" and they there will be possibility to "load sample"
Thanks for the replies fellas. I’ll get to work and on this tonight. When I checked the manual for this it was too basic and I was lost as to where to do the actual loading portion. Thanks a bunch. Hopefully this is all I need! Side note; they should have put out the iOS content such as audio tracks etc before releasing the iPhone version imo. But, I get it..gotta make a profit. Once it supports that and IAA I’ll be in great shape. I like the workflow. Again thanks a ton. So am I understanding that there's no way to load audio that's been pre-recorded? Nope. For some reason making the app universal is more important than making it fully functional. Reason is simple.. at least 30% (probably more) users want iPhone version .. Quite lot people are requesting that, because they have just iPhone - and thing is, there is no workaround how to run iPad version on iPhone. On other side, there is lot of workarounds how to do tasks for which are primary used standard audio tracks in other DAWs, so from very objective point of view iPhone version makes sense to be done before audio tracks. Plus then also iPhone users can benefit from adding audio tracks later. Not allowing loading pre-recorded audio and catering only to iPhones is not only counterproductive but also mind boggling for an app of this type. We paid a lot of money for this app only to find out it's not fully functional. Loading pre-recorded audio should be one of the simplest of functions. We shouldn't have to try to find work arounds for something so basic. Audio tracks are coming, just be patient. Look at Korg Gadget for example - how long did it take for that app to get some form of audio tracks? About 4 years, and even then they were really limited. 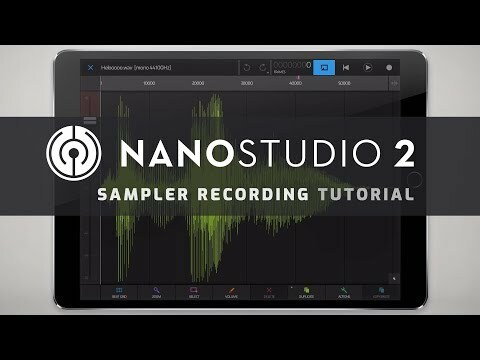 Nanostudio has a long history on the iPhone, so a big part of its userbase are waiting for the phone version. I'm iPad only for music, and use audio a lot, but I understand that developers have to prioritise their limited resources. You can load pre-recorded audio into Slate and Obsidian. “Catering to iPhones”? The app is running great on my tired old Air 1 since release. The app does not have audio tracks at this time. The development roadmap was conveyed. What and what would not be implemented at release was discussed prior to. I knew what I was getting into when I purchased it. There were no surprises or withheld information. Matt is pretty straight forward about what he is doing. 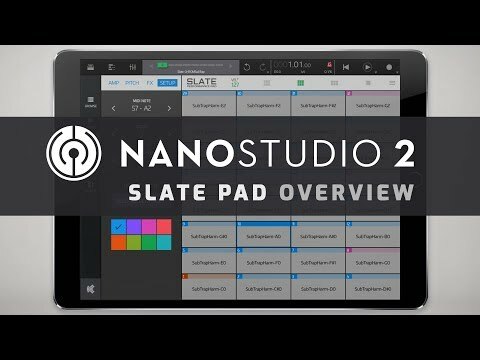 You can trigger audio via slate or as a sample in Obsidian. But besides that, it is shown when you bought it that audio tracks are an IAP and would be out in the future. Why would you pay all this money for something that said it didn’t have audio tracks specifically if that’s your requirement? Did you not read any of the description before you bought it? I don’t think that’s blips fault. The simple fact about iPhones is: it generates revenue! Are you saying Matt should just miss out on revenue from a massive number of users? That would seem counterproductive for him. He’s spent 6 years on it. Let him make the most revenue he can off of his own investment in time and money. I think you’d be surprised how many iPhone only users there are out there. I should check my attitude. I didn’t mean to come across so snarky. I absolutely love this app and fully support the dev. @dendy thank you for the reasoned and measured response. I purchased NS2 when it first came out, and bought all the iap’s as well. I really want Matt to be successful, as it’s good for all of us. There has been a lot of juxtaposition between these two updates, audio tracks and Universal version, but what i think is important to realize is that they are not equal and swapping their release order wouldn’t make audio tracks come out much sooner. Adding audio tracks is a much, much bigger project than adjusting the app’s UI for iPhones (and newer ipads). It already works fine on an iPhone, it’s basically just spit and polish and a couple fine tunings. Universal comes out first, because it’s a small step for Blip but a big step for a lot of users. All those iPhone users can start using the app as it is. Audio tracks were always going to take time, releasing the Universal version won’t change that. Loading pre-recorded audio should be one of the simplest of functions. We shouldn't have to try to find work arounds for something so basic. Loading pre-recorded audio has been available since release. And, indeed, it's one of the simplest of functions. I’m still mad on you.